United Kingdom, England, Scotland, Wales. All goods are sent using a NEXT DAY SERVICE (using Parcelforce Worldwide) for all United Kingdom orders. Your goods can be tracked and you will receive and email notification when your goods are dispatched. You can follow the delivery status of your goods online. Orders received before 5pm will be sent the same day and you will receive the following day (Monday - Thursday). Orders placed on Friday will be delivered on Monday. Orders placed on Saturday and Sunday will be sent Monday and will arrive on Tuesday. 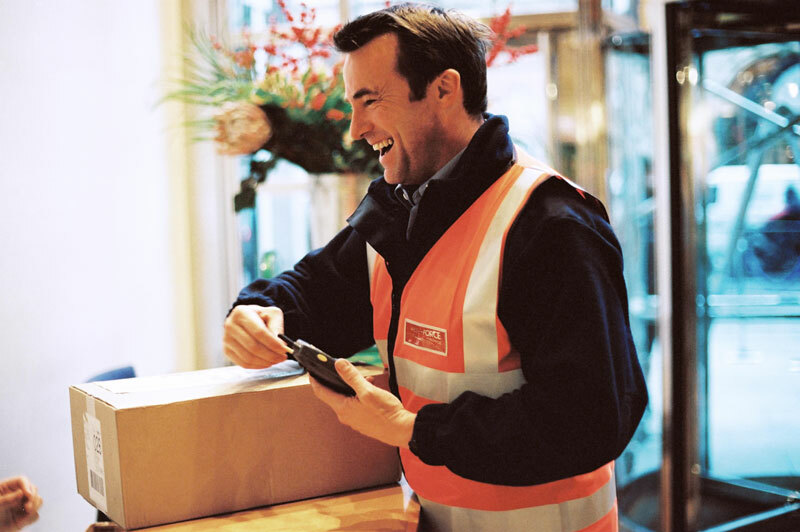 Note - ParcelForce do not deliver on Bank Holidays, your goods will be delivered the next working day. Note - Goods to Northern Ireland, Channel Isles, some parts of Scotland, Islands of Scotland, Isle of Man, Isles of Scilly can sometimes take 2 days. An extra delivery charge applies to deliveries in these areas. Extra charge is £11. We will send you an email requesting payment before we send your order. At www.magicwhiteboard.co.uk we deliver your Magic Whiteboard, whiteboards and stationery next working day to every county and city in mainland United Kingdom. London, Bedfordshire, Buckinghamshire, Cambridgeshire, Cheshire, Cornwall, Isle of Scilly, Cumbria, Derbyshire, Devon, Dorset, Durham, East Sussex, Essex, Gloucestershire, Greater London, Greater Manchester, Hampshire, Hertfordshire, Kent, Lancashire, Leicestershire, Lincolnshire, Merseyside, Norfolk, North Yorkshire, Northamptonshire, Northumberland, Nottinghamshire, Oxfordshire, Shropshire, Somerset, South Yorkshire, Staffordshire, Suffolk, Surrey, Tyne and Wear, Warwickshire, West Midlands, West Sussex, West Yorkshire, Wiltshire, Worcestershire, Flintshire, Glamorgan, Merionethshire, Monmouthshire, Montgomeryshire, Pembrokeshire, Radnorshire, Anglesey, Breconshire, Caernarvonshire, Cardiganshire, Carmarthenshire, Denbighshire, Kirkcudbrightshire, Lanarkshire, Midlothian, Moray, Nairnshire, Peebleshire, Perthshire, Renfrewshire, Ross and Cromarty, Roxburghshire, Selkirkshire, Stirlingshire, Sutherland, West Lothian, Wigtownshire, Aberdeenshire, Angus, Argyll, Ayrshire, Banffshire, Berwickshire, Bute, Caithness, Clackmannanshire, Dumfriesshire, Dumbartonshire, East Lothian, Fife, Inverness, Kincardineshire, Kinross-shire. We deliver and supply Magic Whiteboard, whiteboards, magnetic whiteboards and stationery supplies to all these towns and cities in the United Kingdom. We are the UK's favourite whiteboard supplier and stationery supplier. Cheap stationery and cheap office supplies, over 10,000 quality products. Cheap copier paper, pens , pencils, highlighters, files and folders, dividers, plastic wallets, lever arch folders, ink and toner, tea and coffee and cleaning supplies. Aberaeron, Aberdeen, Aberdare, Aberfeldy, Abergavenny, Abergele, Abertillery, Aberystwth, Abingdon, Accrington, Adlington, Airdrie, Alcester, Aldeburgh, Aldershot, Aldridge, Alford, Afreton, Alloa, Alnwick, Alsager, Alston, Amesbury, Almwch, Ammanford, Ampthill, Andover, Annan, Appleby in Westmorland, Arbroath, Arundel, Ashbourne, Ashburton, Ashby de la Zouch, Ashford, Ashington, Ashton in Makerfield, Atherstone, Auchtermuchty, Axminster, Aylesbury, Aylsham, Ayr. Bacup, Bakewell, Bala, Ballater, Banbridge, Banbury, Banchory, Bannff, Bangor, Barmouth,, Barnard Castle, Barnet, Barnoldswick, Barnsley, Barnstaple, Barrhead, Barrow in Furness, Barry, Barton upon Humber, Basildon, Basingstoke, Bath, Bathgate, Batley, Battle, Bawtry, Beaconfield, Bearsden, Beaumaris, Bebington, Beccles, Bedale, Bedford, Bedlington, Bedworth, Beeston, Bellshill, Belper, Berkhamsted, Berwick upon Tweed, Betws y Coed, Beverley, Bewdley, Bexhill on Sea, Bicester, Biddulph, Bideford, Biggar, Biggleswade, Billericay, Bilston, Bingham, Birkenhead, Birmingham, Bishop Auckland, Blackburn, Blackheath, Blackpool, Blaenau Ffestiniog, Blandford Forum, Bletchley, Bloxwich, Blyth, Bodmin, Bognor Regis, Bollington, Bolsover, Bolton, Bootle, Borehamwood, Boston, Bourne, Bournemouth, Brackley, Bracknell, Bradford, Bradford on Avon, Brading, Bradley Stoke, Bradninch, Braintree, Brechin, Brecon, Brentwood, Bridge of Allan, Bridgend, Bridgnorth, Bridgwater, Bridlington, Bridport, Brigg, Brighouse, Brightlingsea, Brighton, Bristol, Brixham, Broadstairs, Bromsgrove, Bromyard, Brynmawr, Buckfastleigh, Buckie, Buckingham, Buckley, Bude, Budleigh Salterton, Builth Wells, Bungay, Buntingford, Burford, Burgess Hill, Burnham on Crouch, Burnham on Sea, Burnley, Burntisland, Burntwood, Burry Port, Burton Latimer, Bury, Bushmills, Buxton. Caernarfon, Caerphilly, Caistor, Caldicot, Callandar, Calne, Camberley, Cambourne, Cambridge, Camelford, Campbeltown, Cannock, Canterbury, Cardiff, Cardigan, Carlisle, Carluke, Carmarthen, Carnforth, Carnoustie, Carrickfregus, Carterton, Castle Douglas, Castlederg, Castleford, Castlewellan, Chard, Charlbury, Chatham, Chatteris, Chlemsford, Cheltenham, Chepstow, Chesham, Cheshunt, Chester, Chester le Street, Chesterfield, Chichester, Chippenham, Chipping Campden, Chipping Norton, Chipping Sodbury, Chorley, Christchurch, Church Stretton, Cinderford, Cirencester, Clacton on Sea, Cleckheaton, Cleethorpes, Clevedon, Clitheroe, Clogher, Clydebank, Coalisland, Coalville, Coatbridge, Cockermouth, Coggeshall, Colchester, Coldstream, Coleraine, Coleshill, Colne, Colwyn Bay, Comber, Congleton, Conwyn, Cookstown, Corbridge, Corby, Coventry, Cowbridge, Cowdenbeath, Cowes, Craigavon, Cramlington, Crawley, Crayford, Crediton, Crewe, Crewkerne, Criccieth, Crickhowell, Crieff, Cromarty, Cromer, Crowborough, Crowthorne, Crumlin, Cuckfield, Cullen, Cullompton, Cumberland, Cupar, Cwnbran. Dalbeattie, Dalkeith, Darlington, Dartford, Dartmouth, Darwen, Daventry, Dawlish, Deal, Denbigh, Denton, Derby, Dereham, Devizes, Dewsbury, Didcot, Dingwall, Dinnington, Diss, Dolgellau, Donaghadee, Doncaster, Dorchester, Dorking, Dornoch, Dover, Downham Market, Driffield, Dronfield, Droylsden, Dudley, Dufftown, Dukinfield, Dumbarton, Dumfries, Dunbar, Dunblane, Dundee, Dunfermline, Dungannon, Dunoon, Duns, Dunstable, Durham, Dursley. Eastwolding, East Grinstead, East Kilbride, Eastbourne, Eastleigh, Eastwood, Ebbw Vale, Edenbridge, Edinburgh, Edham, Elgin, Ellesmere, Edinburgh, Egham, Elgin, Ellesmere, Ellesmere Port, Ely, Epping, Epsom, Erith, esher, Evesham, Exeter, Exmouth, Ete, Eyemouth. Failsworth, Fairford, Fakenham, Falkirk, Falkland, Falmouth, Fareham, Faringdon, Farnborough, Farnham, Farnworth, Faversham, Felixstowe, Ferndown, Filey, Fintona, Fishguard, Fleet, Fleetwood, Flint, Flitwick, Folkstown, Fordingbridge, Forfar, Forres, Forth William, Fowey, Framlington, Fraserburgh, Frodsham, Frome. Gainsborough, Galashiels, Gateshead, Gillingham, Glasgow, Glastonbury, Glossop, Gloucester, Godalming, Godmanchester, Goole, Gorseinon, Gosport, Gourock, Grange over Sands, Grangemouth, Grantham, Grantown on Spey, Gravesend, Grays, Great Yarmouth, Greenock, Grimsby, Guildford. Haddington, Hadleigh, Hailsham, Halesowen, Halesworth, Halifax, Halstead, Haltwhistle, Hamilton, Harlow. Harpenden, Harrogate, Hartlepool, Harwich, Haslemere, Hastings, Hatfield, Havant, Haverfordwest, Haverhill, Hawarden, Hawick, Hay on Wye, Hayle, Haywards Heath, Heanor, Heathfield, Hebdon Bridge, Helensburgh, Helston, Hemel Hempstead, Henley on Thames, Hereford, Herne Bay, Hertford, Hessle, Heswall, Hexham, High Wycombe, Heswall, Hexham, High Wycombe, Higham Ferrers, Highworth, Hinckley, Hitchin, Hoddesdon, Holmfirth, Holsworthy, Holyhead, Holywell, Honiton, Horley, Horncastle, Hornsea, Horsham, Horwich, Houghton le Spring, Hove, Howden, Hoylake, Hucknall, Huddersfield, Hungerford, Hunstanton, Huntingdon, Huntly, Hyde, Hythe. Ilford, Ilfracombe, Ikeston, Ilkley, Ilminster, Innerleithen, Inveraray, Inverkeithing, Inverness, Inverurie, Ipswich, Irthlingborough, Irvine, Ivybridgem. Keighley, Keith, Kelso, Kempston, Kendal, Kenilworth, Kesgrave, Keswick, Kettering, Keynsham, Kidderminster, Kilbarchan, Kilkeel, Killyleagh, Kilmarnock, Kilwinning, Kinghorn, Kingsbridge, Kington, Kingussie, Kinross, Kintore, Kirkby, Kirkby Lonsdale, Kirkcaldy, Kirkcudbright, Kirkham, Kirkwall, Kirriemuir, Knaresborough, Knighton, Knutsford. Ladybank, Lampeter, Lanark, Lancaster, Langholm, Largs, Larne, Laugharne, Launceston, Laurencekirk, Leamington Spa, Leatherhead, Ledbury, Leeds, Leek, Leicester, Leighton Buzzard, Leiston, Leominster, Lerwick, Letchworth, Leven, Lewes, Leyland, Lichfield, Limavady, Lincoln, Linlithgow, Lisburn, Liskeard, Lisnaskea, Littlehampton, Liverpool, Llandeilo, Llandovery, Llandrindod Wells, Llandudno, Llanelli, Llanfyllin, Llangollen, Llanidloes, Llanrwst, Llantrisant, Llantwit Major, Llanwrtyd Wells, Loanhead, Lochgilphead, Lockerbie, Londonderry, Long Eaton, Longridge, Looe, Lossiemouth, Lostwithiel, Loughborough, Loughton, Louth, Lowestoft, Ludlow, Lurgan, Luton, Lutterworth, Lydd, Lydney, Lyme Regis, Lymington, Lynton. Mablethorpe, Macclesfield, Machynlleth, Maesteg, Magherafelt, Maidenhead, Maidstone, Maldon, Malmesbury, Malton, Malvern, Manchester, Manningtree, Mansfield, March, Margate, Market Deeping, Market Drayton, Market Harborough, Market Rasen, Market Weighton, Markethill, Markinch, Marlborough, Marlow, Maryport, Matlock, Maybole, Melksham, Melrose, Melton Mowbray, Merthyr Tydfil, Mexborough, Middleham, Middlesbrough, Middlewich, Midhurst, Midsomer Norton, Milford Haven, Milngavie, Milton Keynes, Minehead, Moffat, Mold, Monifieth, Monmouth, Montgomery, Montrose, Morecambe, Moreton in Marsh, Moretonhampstead, Morley, Morpeth, Motherwell, Musselburgh. Nailsea, Nailsworth, Nairn, Nantwich, Narberth, Neath, Needham Market, Neston, New Mills, New Milton, Newbury, Newcastle, Newcastle Emlyn, Newcastle upon Tyne, Newent, Newhaven, Newmarket, Newport, Newport Pagnell, Newport on Tay, Newquay, Newry, Newton Abbot, Newton Aycliffe, Newton Stewart, Newton le Willows, Newtown, Newtownabbey, Newtownards, Normanton, North Berwick, North Walsham, Northallerton, Northampton, Northwich, Norwich, Nottingham, Nuneaton. Oakham, Oban, Okehampton, Oldbury, Oldham, Oldmeldrum, Olney, Omagh, Ormskirk, Orpington, Ossett, Oswestry, Otley, Oundle, Oxford. Padstow, Paignton, Painswick, Paisley, Peebles, Pembroke, Penarth, Penicuik, Penistone, Penmaenmawr, Penrith, Penryn, Penzance, Pershore, Perth, Peterborough, Peterhead, Peterlee, Petersfield, Petworth, Pickering, Pitlochry, Pittenweem, Plymouth, Pocklington, Polegate, Pontefract, Pontypridd, Poole, Port Talbot, Portadown, Portaferry, Porth, Porthcawl, Porthmadog, Portishead, Portrush, Portsmouth, Portstewart, Potters Bar, Potton, Poulton le Fylde, Prescot, Prestatyn, Presteigne, Preston, Prestwick, Princes Risborough, Prudhoe, Pudsey, Pwllheli. Ramsgate, Randalstown, Rayleigh, Reading, Redcar, Redditch, Redhill, Redruth, Reigate, Retford, Rhayader, Rhuddlan, Rhyl, Richmond, Rickmansworth, Ringwood, Ripley, Ripon, Rochdale, Rochester, Rochford, Romford, Romsey, Ross on Wye, Rostrevor, Rothbury, Rotherham, Rothesay, Rowley Regis, Royston, Rugby, Rugeley, Runcorn, Rushden, Rutherglen, Ruthin, Ryde, Rye. Saffron Walden, Saintfield, Salcombe, Sale, Salford, Salisbury, Saltash, Saltcoats, Sandbach, Sandhurst, Sandown, Sandwich, Sandy, Sawbridgeworth, Saxmundham, Scarborough, Scunthorpe, Seaford, Seaton, Sedgefield, Selby, Selkirk, Selsey, Settle, Sevenoaks, Shaftesbury, Shanklin, Sheerness, Sheffield, Shepshed, Shepton Mallet, Sherborne, Sheringham, Shildon, Shipston on Stour, Shoreham by Sea, Shrewsbury, Sidmouth, Sittingbourne, Skegness, Skelmersdale, Skipton, Sleaford, Slough, Smethwick, Soham, Solihull, Somerton, South Molton, South Shields, South Woodham, Ferrers, Southam, Southampton, Southborough, Southend on Sea, Southport, Southsea, Southwell, Southwold, Spalding, Spennymoor, Spilsby, Stafford, Staines, Stamford, Stanley, Staveley, Stevenage, Stirling, Stockport, Stockton on Tees, Stoke on Trent, Stone, Stowmarket, Strabane, Stranraer, Stratford upon Avon, Strood, Stroud, Sudbury, Sunderland, Sutton Coldfield, Sutton in Ashfield, Swadlincote, Swanage, Swanley, Swansea, Swindon. Tadcaster, Tadley, Tain, Talgarth, Tamworth, Taunton, Tavistock, Teignmouth, Telford, Tenby, Tenterden, Tetbury, Tewkesbury, Thame, Thatcham, Thaxted, Thetford, Thirsk, Thornbury, Thrapston, Thurso, Tilbury, Tillicoultry, Tipton, Tiverton, Tobermory, Todmorden, Tonbridge, Torpoint, Torquay, Totnes, Totton, Towcester, Tredegar, Tregaron, Tring, Troon, Trowbridge, Truro, Tunbridge Wells, Tywyn. Uckfield, Ulverston, Uppingham, Usk, Uttoxeter. Wadebridge, Wadhurst, Wakefield, Wallasey, Wallingford, Walsall, Waltham Abbey, Waltham Cross, Walton on Thames, Walton on the Naze, Wantage, Ware, Wareham, Warminster, Warrenpoint, Warrington, Warwick, Washington, Watford, Wednesbury, Wednesfield, Wellingborough, Wellington, Wells, Wells next the Sea, Welshpool, Welwyn Garden City, Wem, Wendover, West Bromwich, Westbury, Westerham, Westhoughton, Weston super Mare, Wetherby, Weybridge, Weymouth, Whaley Bridge, Whitby, Whitchurch, Whitehaven, Whitley Bay, Whitnash, Whitstable, Whitworth, Wick, Wickford, Widnes, Wigan, Wigston, Wigtown, Willenhall, Wincanton, Winchester, Windermere, Winsford, Winslow, Wisbech, Witham, Withernsea, Witney, Woburn, Woking, Wokingham, Wolverhampton, Wombwell, Woodbridge, Woodstock, Wootton Bassett, Worcester, Workington, Worksop, Worthing, Wotton under Edge, Wrexham, Wymondham. Yarm, Yarmouth, Yate, Yateley, Yeadon, Yeovil, York. Europe - Delivery time 2-5 days. Usually 2 days. We use Parcelforce Worldwide to deliver your goods. You can track the status of your goods online. We recommend European customer's buy 3 or more rolls, you can track your order online and this will reduce the cost of delivery. Algeria, Antigua and Barbuda, Argentina, Aruba, Australia, Azerbaijan, Bahamas, Barbados, Bermuda, Bolivia, Brazil, Brunei Darussalam, Canada, Cayman Islands, Dominica, Dominican Republic, Dubia, Egypt, El Salvador, Equatorial Guinea, French Guiana, French Polynesia, French Southern Territories, Georgia, Grenada, Guatemala, Guinea, Guinea-Bissau, Guyana, Honduras, Hong Kong, India, Israel, Jamaica, Japan, Jordan, Kuwait, Lao People's Democratic Republic, Madagascar, Mexico, Moldova, Netherlands Antilles, New Zealand (Aotearoa), Nicaragua, Norway, Oman, Pakistan, Papua New Guinea , Panama, Paraguay, Qatar, Republic of Korea (South Korea), Russian Federation, Saint Kitts and Nevis, Saint Lucia, Saint Vincent and the Grenadines, Senegal, Singapore, South Korea, St. Helena, St. Pierre and Miquelon Taiwan - Province Of China, Trinidad and Tobago, Turks and Caicos Islands, Ukraine, United Arab Emirates, United States, Uruguay, US Minor Outlying Islands, Virgin Islands (British), Virgin Islands. Parcelforce Worldwide global priority couriers are used to deliver your goods. You can track your goods online. Delivery time 3-10 days. We recommend USA and Rest of the World customer's buy 3 or more rolls, you can track your order online and this will reduce the cost of delivery. Note - Delivery times shown are approximate and are not guaranteed for Europe and Rest of World. If the items in your order are in stock, orders received before 5pm will be sent the same day using Parcelforce Worldwide NEXT DAY couriers. Orders received after 5pm will be despatched next working day using Parcelforce Worldwide Next Day serice - your goods will arrive by 5pm the next day. Note - Goods to Northern Ireland, Channel Isles, some parts of Scotland, Islands of Scotland, Isle of Man, Isles of Scilly can sometimes take 2 days. Additional charges apply for delivery to Channel Islands. The charge for Postage & Packaging to UK and Northern Ireland addresses is dependent on the total order value including VAT. For orders placed online the charge for Postage and Packaging including VAT is as follows and will be automatically calculated and shown at the time of order. Any import duty payable in the customer's own country is the responsibility of the customer. We are pleased to exchange or provide a full refund for any unopened products provided that you return the goods to us within 14 days of delivery. If there has been no error on our part we will refund only the cost of the item. We will not refund the cost of delivery and you will be responsible for the return postage and packaging. Please note that we cannot accept opened or damaged boxes as returns. Please ensure that any items to be sent back are returned securely. Magic Whiteboard cannot be held liable for returned items which do not reach us. If any goods delivered by us are faulty, damaged in transit, deficient of items shown on the delivery note or fail to match the items ordered by you, then you should email us explaining the problem to sales@magicwhiteboard.co.uk within seven working days of receipt and we will contact you to resolve the matter. If we don’t receive notification you will be deemed to have accepted the items as satisfactory.